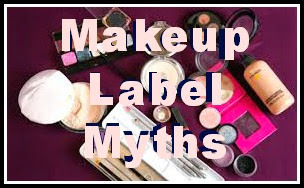 Chances are you have seen some of these phrases on makeup labels – and even been persuaded to purchase the items. Some of these phrases on labels can be accurate but some can also be misleading. There are guidelines for labeling cosmetics but there is not a review process. Mainly because smaller brands would have so many loop holes to jump through, they probably wouldn't even make it into the market. This also means the lack of regulations falls onto the consumer. It’s our responsibility to see through the label lingo and understand what we are putting on our faces. Most of the items listed on the front of the product are marketing words to get you to purchase the product. Many beauty companies are making “Oil-Free” everything from foundation and concealer to blush and eye shadow. If you look at the list of ingredients, you may find oils. Companies substitute synthetic oils with natural oils in order to call the items oil-free. These terms indicate that the product will not clog pores or cause breakouts. It is great that companies are adding SPF to many cosmetics. We can all benefit from more daily SPF. However, there are two very different kinds of sunscreen ingredients – chemical and physical – each works in a different way. - Pros - Colorless, odorless, usually runny. Can sometimes double as a makeup primer, depending on the active and the formulation. - Cons - Chemical filters tend to be more irritating to skin. If it gets in your eyes, it can make your eyes sting and water. Some can cause allergic reactions. - Pros - protect your skin from the sun by deflecting or blocking the sun's rays. - Cons - Thick and opaque, may be hard to apply. Tends to leave a white cast or tint. Rubs off more easily and must be frequently reapplied. These ingredients protect against the entire spectrum of UVB and UVA rays. The requirement needed to make a product natural is only 20%. That means 80% of the product is not made from natural ingredients. You can also research the products through organizations like Natural Products Association and The campaign for Safe Cosmetics. Unfortunately, smoothing out wrinkles and fine lines is not as easy as adding an ingredient to concealer. Many anti-aging ingredients are photosensitive and will break down in sunlight. If you looking at purchasing anti-aging products, it is probably best to use a serum or moisturizer at night. There is something enticing about makeup that claims it is “24 Hour”. It would be great not having to worry about makeup turning blotchy or re-applying throughout the day. We are very busy these days. While some might have great staying power others might not. There is also a misconception that long lasting or long-wearing are the same as waterproof – not true. Long lasting might not keep your flawless look while swimming in the pool but it will keep the eyeliner from smudging before lunchtime. Sometimes products are tested by dermatologists. This doesn't necessarily mean the dermatologist liked it. It falsely makes one think the product is endorsed by a dermatologist. If you see this phrase on a product, I wouldn't take it into consideration.